Next open members’ meeting 27th November! The next members’ meeting will be held on Tuesday, November 27th, at 7.30pm at Horfield Meeting House, 300 Gloucester Road, BS7 8PD. See map. This is an open members' meeting, so please bring along any of your friends and neighbours who might be interested in learning more about Sims Hill. This is the meeting where we will be adopting the budget for 2013, so we need input from as many of our members as possible. The papers for the meeting will be sent out on Friday, 16 November. 2. 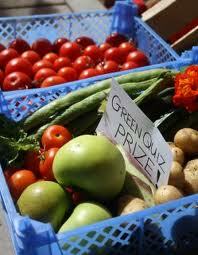 Update on plans for becoming a Permaculture LAND centre from Chris Sunderland and Alison Crowther. 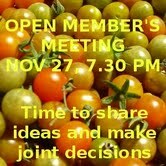 Posted in Archive, News, Uncategorized | Comments Off on Next open members’ meeting 27th November! On Wednesday October 3rd, I joined a group of others to focus on answering the question, “How can we scale up urban agriculture in Bristol?”. Organised by Bristol Food Policy Council, the event took place at Co-exist in Bristol and brought together urban growers, community organisers and local foodies in Bristol who all care about how the city gets fed. I went with interest as a rural grower that is soon to be feeding into the city and also to raise awareness that if Somerset was to feed itself that would impact on Bristol’s chances! Unfortunately cities aren’t the best model of human habitat patterns and would ultimately need to be fed by counties like Somerset that surround the city.